TIDEMARK 1 BEDROOM 1.5 BATHROOM PENTHOUSE! This spacious and bright unit has been totally remodeled- unit has marble floors through, a huge master bedroom, a beautiful white and open kitchen, and beautiful views of the beach and the bay from balcony. TWO covered parking spaces! 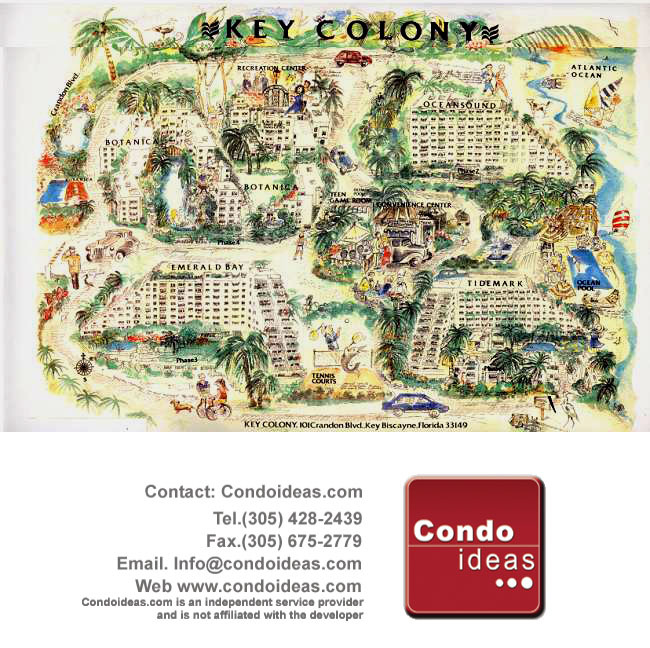 Key colony 1, The Tidemark, is a waterfront condominium with beach access. Amenities include two family pools, lap pool, jacuzzi, ocean side café, 12 tennis courts, exercise room, sauna, steam room, recreation room, and wide private beach. Great location close to top rated schools, restaurants, shopping, and more. Unit is move in ready.